hormonal and immune conditions in both men and women. After a woman’s age, a little known fact is that male infertility is the biggest single factor influencing a couple’s chance of conception [40% sperm related cause]. In 10-20% of couples no cause will be found, this is called Unexplained Infertility, which can be particularly frustrating for you and your partner. You may have undergone preliminary testing with your GP or referring gynaecologist. 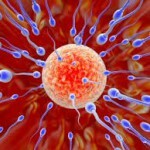 Your fertility specialist will review your results and history before recommending a treatment plan. Before we determine the best treatment plan for you, further investigations may be necessary and typically these can include: You’ll need a blood test to check whether or not you are ovulating, or producing an egg every month. An ultrasound scan checks the lining of your womb (endometrium) and diagnoses any conditions that may be distorting the lining. The size of your ovaries and if there are many small follicles. It also gives us a baseline report to compare with later in your treatment. 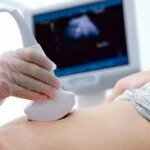 Sonohysterogram or HyCoSy– a relatively non-invasive test, which involves an ultrasound and insertion of a tiny tube into the cervix to pass dye through the uterine cavity and tubes. Hysterosalpingogram – using X-rays to confirm the fallopian tubes are open (this does not provide any information about the ovaries and provides only limited information about the uterus). These tests are more invasive and so usually come last – in some cases you may not need the tests at all. 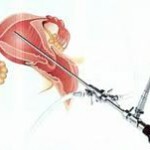 Laparoscopy is performed under general anaesthetic. A fibre optic telescope (laparoscope) is passed through a small incision in the umbilicus and a manipulating probe is inserted through the pubic hairline, to view the ovaries, fallopian tubes, uterus and pelvic cavity for abnormalities. Tubal patency can also be checked by injecting dye through the uterus and observing its progress. Often two additional small incisions are made if treatment or pathology is required.